This essay was originally published on the CRPE website, part of a 25th anniversary series re-examining assumptions about education in light of new technical possibilities, changes in the economy, and a recognition that even the most effective schools may need to develop new approaches to better serve students whose specific needs warrant more individualized learning pathways or support. My day at the NYC Autism Charter School began by joining the staff to help welcome each of the 33 students into the school with smiles, high-fives, and big hellos. Despite their profound autism, nearly all the students (their ages range from 5 to 21) ride buses provided by the New York City Department of Education to school each day and walk independently to their classrooms. That might not seem remarkable, but consider that most of these students are significantly verbally and cognitively impaired, and many deal with severe anxiety and frustration from trying to navigate a world that overwhelms and confounds them. To help their students succeed each morning and afternoon, staff dot the stairwell and occasionally ride the buses to provide guardrails for them, standing back as much as possible to encourage independence. The morning routine is representative of what happens throughout the school day. The youngest students are patiently taught to learn how to learn. For many of them, just sitting at a table and conversing with a teacher and other students is a goal that takes months to achieve. An intensive system of individualized goal setting, data collection, and intervention strategies is constantly being deployed, based on the Applied Behavior Analysis therapy methods developed by psychologists as a way to shift behaviors using positive incentives and reinforcements. The school was founded in 2005 by two desperate moms who had children with profound autism. 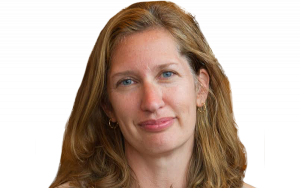 Julie Fisher, the executive director, has a background in social work and is a behavior analyst. The success stories I heard were moving. One young student couldn’t tolerate anything or anyone touching his mouth and was suffering from significant dental hygiene problems. For the past several months, teachers have worked with the boy to slowly, step by step, increase his tolerance for toothbrushing and dental procedures. On the day of my visit, the boy showed his father how he can now independently brush all his teeth. His reward was a loud round of cheering and a scooter ride down the hall. I watched a group of four young students sit together learning about mammals and discussing one another’s perspectives. Several months prior, none of them would sit in a group, and they spoke only about their own interests and thoughts. Older students have much more advanced goals and accomplishments. While I visited, students were doing simple research projects, simple literary text analyses, and all kinds of job-training tasks. By no means are students at the school doing what most of us would consider high-level academic tasks or college prep work, but there is also no doubt that they are working extremely hard every minute of the day toward clear life goals that their family and the school believe are achievable for them. It’s exciting to hear about the students’ accomplishments, but I also know from parenting a child with much less severe challenges that what this school is doing for their parents is life-changing. One young student’s mother had not been able to attend church since he was a baby because he was disruptive during the service. After intensive therapy at school, the family recently began attending church together again. The father I met was glowing when he spoke about how proud he is of his son’s progress and how much better things are at home now that they have strategies that work. I heard once that the divorce rate for parents who have children with autism is 80 percent. This is apparently a myth, but the amount of stress, fear, and isolation that families who have children with autism endure makes that an easily believable figure. Families at the school are deeply engaged. There are twice-annual Individualized Education Program meetings to set and review goals, plus monthly meetings to review data and adjust strategies. I sat in on a meeting in which teachers and parents discussed data that showed how a child’s disruptive incidents had decreased so dramatically that all agreed there was no need to track them anymore. The teacher used the rest of the time to ask how things were going at home, help the parents develop strategies to address issues, and think through ways to help with the issues at school. Whether teachers were trying to help students with self-care, job training, or academic tasks, I observed ongoing diagnosis, creative problem-solving, and determination from the staff to focus on setting students up for an independent life. An array of programs at the school are designed to facilitate successful pathways for each student and to draw on resources outside the school. Middle school students from nearby district and charter schools are recruited to serve as peer mentors. The goal is to expose the students with autism to neurotypical peers and to help build understanding and empathy in the other direction. The school also runs an extensive internship program in partnership with local businesses as wide-ranging as Facebook, Shake Shack, and White Castle. Students build résumés that they can show to prospective future employers. Specialized schools like the NYC Autism Charter School naturally raise questions about whether students would benefit from more exposure to, and inclusion in, “regular” classrooms and peers. As I’ve experienced, there is often a trade-off between a school that is fully equipped to accommodate children’s differences and a more inclusive environment, but the hope and law are that students should be served in the least restrictive environment possible. The school has moved students into more inclusive settings, but it is rare. I also wondered whether staff at the school are as determined to teach academic skills as they clearly are with social and life skills. Most of the students are unlikely to go to college; nevertheless, the academic curriculum seemed underdeveloped, and most of the school’s leaders are social workers and behavior analysts, not academic instructors. Finally, I understand the urgent need to ensure that students learn to comply with adults’ requests in order to get jobs and function in “normal” social settings, but I wonder if enough attention is paid to also cultivating the knowledge in these students that they have a unique lens on the world that can be beautiful and important. 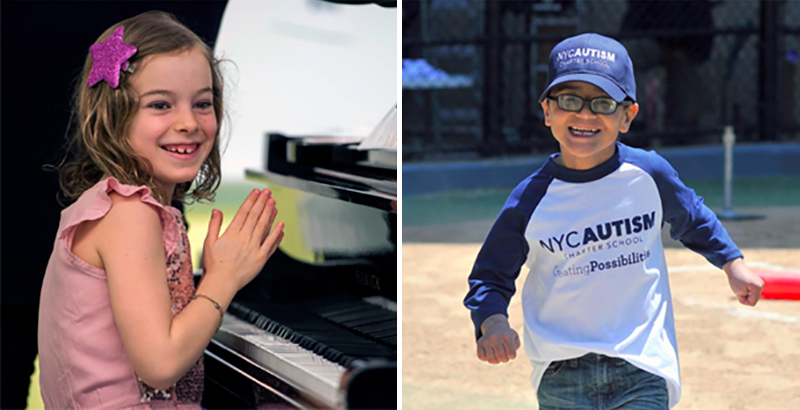 I saw little in the way of art and music classes, where many students with autism shine. While all students are taught piano (and perform at an annual recital to a packed house), there is not a great deal of music outside that, and art tends to be part of individual instruction if, or when, students show an interest. In one class, students were asked to write about what happened in a picture showing two people sitting near a log in a park with a basket. One girl’s description was about a mystery in “dark Brazil.” I wanted to know about what was happening in her dark Brazil, but instead, the teacher moved on and the students would find out the following day what really happened and whether they got the story right. Kids with autism or who are just complex thinkers and learners experience daily messages that they don’t fit in and must change in order to do so. In many ways, they must, but they also need as many opportunities as possible to be valued for who they are. Despite regular efforts at the school to provide positive feedback and asset-based thinking, I wonder if it could do more to celebrate and share the wonder and beauty of the autistic mind. There are no easy answers to these questions. Julie Fisher and her team are well aware of the tensions and worry about them. The school is an extremely resource-intensive endeavor. Students benefit from a 1:1 student/adult ratio and go to school year-round. Good special education teachers are notoriously hard to find, and the job is very intense, so the school does a lot of internal staff coaching and in-house training. Most charter schools would be unable to afford this level of support, but the school has a special allocation from the city to support its students’ unique needs. The original East Harlem school recently opened another campus in the Bronx, placing further pressure on the staff and creating the need to systematize much of what they previously held in their heads. The school now has online student files, curricular material, and other resources. More packaging and systematizing of their approaches would likely help relieve training and supervisory demands, and could allow them to spread their most effective strategies to other schools that work with students with “low-incidence” or profound disabilities. In all, I came away moved at the intense dedication and commitment I saw. The students were happy, loved, supported at home and at school, and being prepared to make the most of their lives. And the school was looking to pull every community asset and lever it could find to do that. That is personalized learning at its best.